Moving's a big job. Fortunately, dealing with your energy supply doesn't have to be. Follow our steps for starting or stopping your service with your utility or energy supplier, and get back to everything else you need to do. 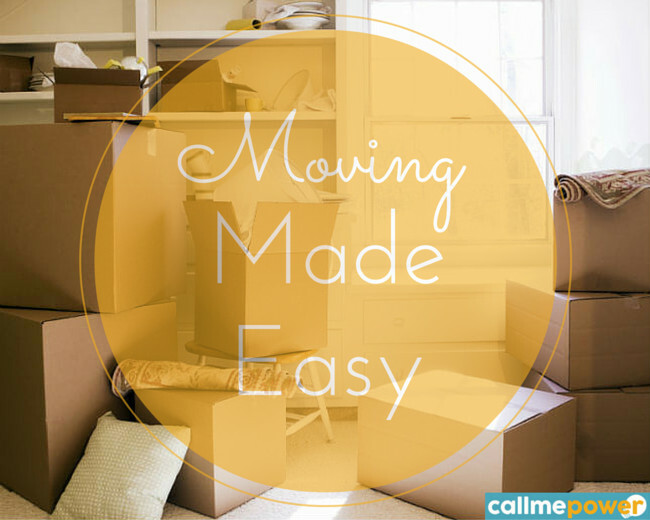 Moving in to a new home? We're here to help! Call us at 347-410-8789 to get utility service and energy supply activated! Find personalized informationWe've got specific information about moving by state and by utility. Find your utility in our utility director. Or give us a call at 347-410-8789. Though the exact amount of notice varies depending on the utility, it's a good idea to try to contact your new utility about five to seven days before your move in order to ensure that your service is turned on in time. Unless the previous occupant moved out a long time ago, in most cases your energy (electricity and/or natural gas) should still be connected when you move in. In this case, the account activation procedure should be quite rapid and simple. If electricity in your new home was disconnected when the previous occupant left, it may take longer to open your account and start electricity service. This is is because your utility company will need to send a technician out to your home to get a meter reading and/or activate service in person, and the time delay will depend on technician availability. Depending on the utility, you may be able to pay an additional fee to get same-day/24h service, but in most cases your wait will depend on your utility. In most states (except the always independent Texas), your default option for your energy supply is to purchase it directly from your utility. This rate might be called something like the "rate to compare" or the "standard offer" and covers the cost of your utility to purchase energy supply on your behalf. In most cases, the default rate offered by utilities is a variable rate that changes on a regular basis, and usually has to follow a certain purchasing procedure that has been approved/regulated by your state's public utilities commission. If you live in an area where energy markets have been opened to competition, you have the option of choosing an alternate supplier for your energy supply. Alternate suppliers go by many names. Depending on where you live, they might be called: energy supply companies (ESCO), retail energy providers (REP), energy retailers, alternative suppliers, energy marketers, or competitive/alternate retail energy providers (CREP/AREP). Here, to keep things simple, we've decided to call them simply "alternate suppliers"
Why choose an alternate supplier over your utility? Alternate suppliers offer you wider choice of pricing. For example, with an alternate supplier, you have the option of choosing a fixed, variable, or indexed rate. Some alternate supplers offer time of use pricing in areas where the utility does not. Alternate suppliers also offer the possibility of supporting green energy. While the sources of power production vary by state, overall about two-thirds of electricity produced in the US comes from fossil fuels. While some utilities are investing into renewable power, only alternate suppliers are currently able to offer 100% green energy. You can help support wider use of renewable energy by choosing to purchase electricity (or even natural gas) that has either come from renewable sources, or that has been carbon compensated, from an alternate supplier. Normally, your utility will take care of both delivery (or the costs associated with getting energy to your home and maintaining infrastructure) and supply (or the actual cost of the energy you consume and customer service). If you choose an ESCO, your local utility will still be in charge of delivery costs. Your new ESCO however will take care of all charges related to supply - and this is where you can save on your energy bills. In general, we recommend choosing a fixed-rate with an alternate energy supplier for both electricity and gas - find out why. Make sure, however, to check out the rate offered by your utility to be sure that you're getting a good rate. It is a good idea to contact your utility at least three to five business days before the day that you move. Depending on your utility, they may want to send a representative to take a final meter reading to ensure that your final bill will be correct. In most cases, if you are moving to an area in which your alternate supplier still provides service, you will be able to simply transfer your account to your new address. However, if you are going to an area where your supplier does not provide service, you will have to close the account. In most cases, you will be able to leave the contract and pay no cancellation fees. Some alternate suppliers may require additional documentation as proof of a move outside their service area. Make sure to check the terms and conditions of your contract to find out exactly what is required. If you are moving to a new home within your utility's service area, you can transfer your current service to your new home during the same call. Depending on your utility, you may need to close your old account and open a new one, or you may simply be able to transfer your account to your new address. In order to ensure that your new home's service is activated in time, make sure to call your utility's customer service line at least five to seven days in advance. The exact amount of notice required by alternate suppliers to move an account varies, but in general it's a good idea to contact your supplier at least 30 days before your upcoming move. Make sure to check the terms and conditions of your contract to find directions about how to transfer your account to a new address. In most cases, all you will have to do is call or submit a move request online, with your identifying information (name, account number), your old address and new address, and the date of your move. Contact your supplier's customer service for more information about moving.